Rascal Flatts had a resurgence late last year. The band had been getting caught up in their own success over the last few years. They never stopped putting out great music, but there was something intangible missing. The band’s longtime record label, Lyric Street, shuttered and the band was in high demand. They eventually landed with Big Machine and the band seemed to be re-energized and focused on becoming the biggest band in country once again. Rascal Flatts is now back on top of the music world. The album has sold millions of copies. The singles are flying to the top of the charts. The band continues to collaborate with artists from other genres. They’re spreading the boundaries of country music and I can always respect that. The more people that listen to country music the better. 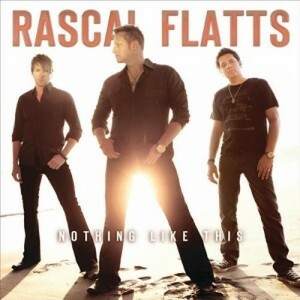 Rascal Flatts put out a great album and it’s been one of the biggest of the year. Some might not put Justin Moore’s sophomore set this high on the countdown. Justin is a new artist and as a new artist it can be difficult to gain respect right away. After hearing the songs on the record a few times, though, I had to include Justin in the top ten. There was no denying it. Justin stepped up and made a better album the second time around. The songs are great. They’re catchy, fun, and true to who Justin is. He’s a southern boy with plenty of twang in his voice. In fact, some might call Justin a little too country. Too country? I don’t even know what that means. Justin has a large audience out there and they love plenty of twang in their country. 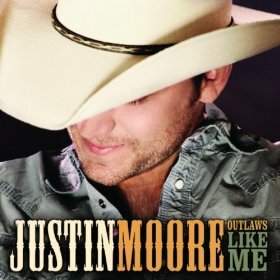 Justin Moore is a star and this record is one of the best of 2011. 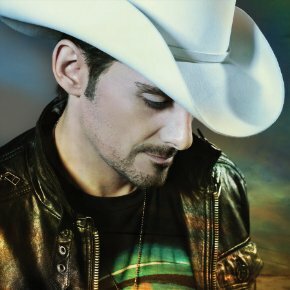 It’s hard to believe, but Brad Paisley put out his biggest album ever this year. Brad has put out some of the best albums of the last decade so he had a high bar to reach with his 2011 record. Brad eclipsed all of his previous work with This Is Country Music. The album had two number one singles before the entire collection even hit the shelves in the stores. Brad took on the ambitious title for the album by bringing in some of the biggest names in country like Alabama and Carrie Underwood. Brad continued being one of the biggest draws in country music out on the road. His tours are always huge and he just seems to be one of the biggest superstars of all time. This Is Country Music was one of the best albums of the year and is still going strong with new singles coming out what seems like every other month. Sara Evans was one of the biggest comeback stories of the year. After five years she was back with a brand new studio album. Some in the industry will probably admit they were a little curious to see what Sara would come back with on this record. Five years is an eternity in the music business. Sara came back from struggles in her personal life and really does appear, for lack of a better word, stronger than when she left. The first single and the title track became huge hits earlier this year. Sara Evans is back and she’s once again one of the biggest stars in the country world. She’s been out on big tours all year and the second single from the record is making its way up the charts. And the great news is there are plenty of more songs to go on this record. It’s truly one of the best of the year. Keith Urban has been one of the biggest artists in music for a decade. It’s hard to believe he’s been at the top of the world for that long. With his latest album, Keith took yet another step into adulthood. He’s a father now. He seems to be extremely happy with his personal life. His joy comes through in his music and the songs he’s putting out right now. The first single, Put You In A Song, was a little quirky, but lots of fun. The second single, Without You, was a love song for his wife. It was hard to believe Keith didn’t actually write the song. And the third and my favorite of the entire album, Long Hot Summer, is currently riding high on the charts. Keith is just an unstoppable force in country music right now. His songs are great and he had one of the best albums of the year yet again.